Santo Condorelli is a Canadian National Teamer and World Championship and Olympic finalist. Born January 17, 1995 Condorelli is among the world’s fastest sprint freestylers and has earned multiple NCAA All-America honors as a USC Trojan. Although born in Japan, and raised in Portland, Oregon, Condorelli has both Canadian and U.S. citizenship — his mother is from Kenora, Ontario — he chose to represent Canada at the 2016 Olympics. Competing for the Bolles School Sharks in Jacksonville, Fla., Condorelli entered USC as a National Age Group Record Holder. 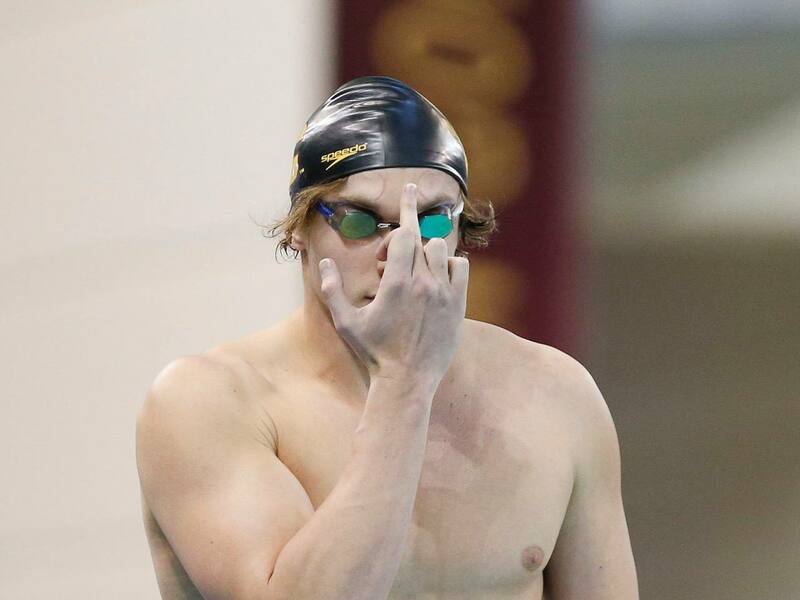 In his high school career Condorelli broke the Florida State Record in the 50-yard freestyle, posting the 5th fastest time in high school history. In the same year he swam at the 2012 U.S. Olympic Trials, competing in the 50 and 100-meter freestyle and the 100-meter butterfly. 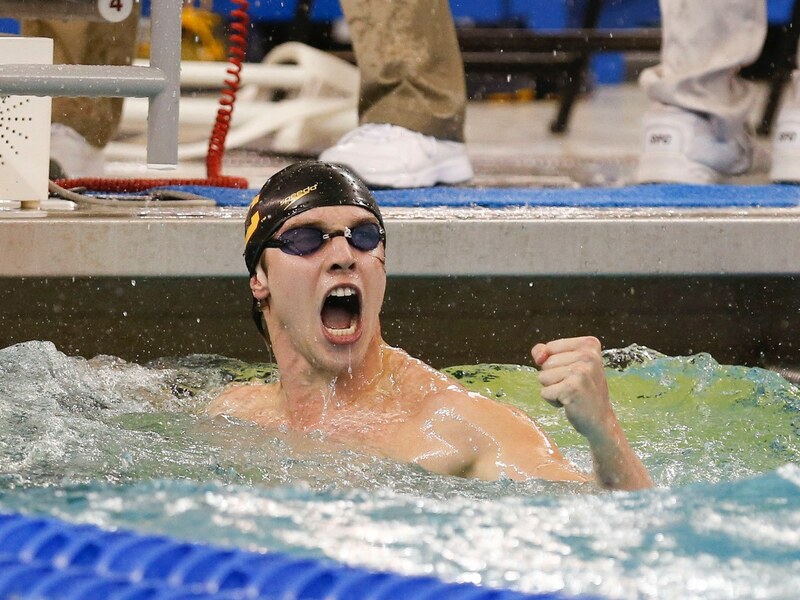 The following year, and just a few weeks before entering USC, Condorelli broke the 17-18 National Age Group Record in the 50-meter free at the 2013 U.S. Junior Nationals. Although he was selected to the U.S. World Junior Championship Team Condorelli denied a spot to be eligible for the Canadian Team. In his first year at USC Condorelli competed at the NCAA Championships as a relay participant, and helped USC come to a 6th place finish in the 400-yard free relay with a 43.17 split. At the Pac-12 Championships as a freshman Condorelli scored in two events, picking up a 15th place finish in the 100-yard fly and finishing 8th in the 100-yard free — his first Pac-12 championship final of his collegiate career. Returning for his sophomore season Condorelli made huge improvements. At the 2015 NCAA Championships he scored in all three individual events, including a ‘B’ final win in the 100-yard free. Condorelli also finished 10th in the 100-yard fly, posting a 45.79 school record time and 16th in the 50-yard free. Condorelli had a big role on the Trojan relays helping the teams finish 5th in the 200-yard free relay, 6th on the 200-yard medley and helped his squad take the gold in the 400-yard free relay. At the 2015 Pac-12 Championships Condorelli finished with a bronze medal in three races including the 50 and 100-yard free and the 100-yard fly. Condorelli opted to redshirt the 2015-2016 season to focus on qualifying and preparing for the Olympic Games. Condorelli won gold with the 200 yard medley relay in a pool record 1:21.82 with Robert Glinta, Carsten Vissering, and Dylan Carter. He won bronze as part of the 400 yard medley relay (3:01.83) alongside Ralf Tribuntsov, Carter and Vissering. The 200 yard freestyle relay finished fifth (1:15.72) including Carter, Tribuntsov and Kyle Grissom. Individually, Condorelli finished eighth in the 100 yard freestyle (42.34), won the ‘B’ Final in the 50 yard freestyle (18.99) and finished second in the ‘B’ final of the 100 yard butterfly (45.12). 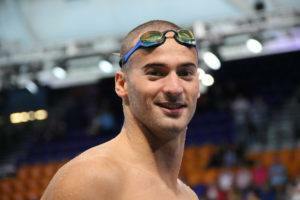 On April 1, 2015, when the psych sheets came out for the Canadian world trials, Santo Condorelli confirmed he was switching his sporting citizenship to Canada. 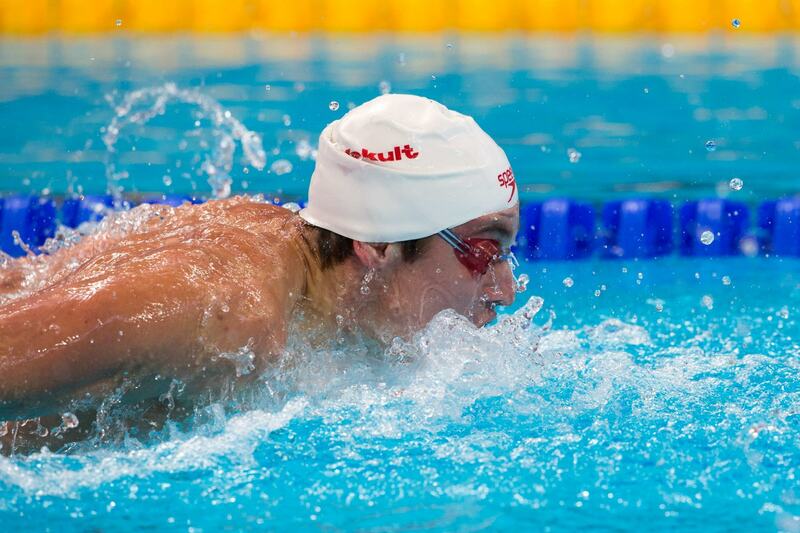 At the 2015 Canadian Nationals and Trials Condorelli competed in his major three events: the 50-meter free, 100-meter free and 100-meter fly. 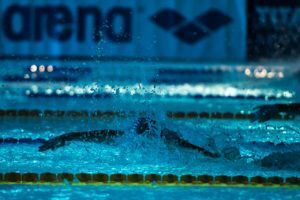 Although the 50-meter fly is not an Olympic qualifying event, Condorelli won gold in addition to his golds won in the 100-meter free and the 50-meter free. He finished the 100-meter free in 48.83, which made him the first Canadian to go under 49 seconds since Olympian Brent Hayden. Competing for Canada, Condorelli qualified for his first World Championships in 2015. Hosted in Kazan, Condorelli competed in the 100-meter free individually and was a major factor in Canada’s relay success. In the 100 free Condorelli advanced to the championship final alongside a tight top eight qualifiers. He took out the first 50 meters with amazing front-end speed, flipping at the wall in 1st, but he didn’t have the back-half he needed to pull of a medal-winning performance. Condorelli was out-touched by three swimmers for 4th place — the entire heat was less than one second apart. He ended the season with the third-fastest time in the world in the 100-meter free. Condorelli also competed in the 50-meter fly, advancing through to the semi-finals, and finished 9th, just one spot away from making his second championship final of the meet — his performance also broke the Canadian Record. As a relay swimmer he won a bronze medal on the 4×100-meter mixed medley and finished 8th on the 4×100-yard free relay. At the 2015 U.S. Winter Nationals held in Federal Way, Wash., Condorelli competed in his signature sprint events. 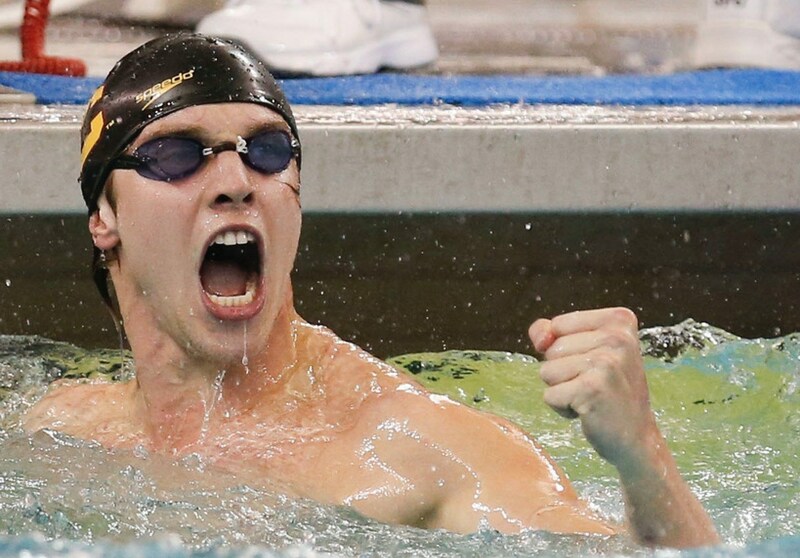 He picked up a bronze in the 50-meter free in a stacked heat with sprinters like Nathan Adrian and Brad Tandy. His real success came in the 100-meter free, when he posted the third fastest time in the world. Condorelli won the 100-meter free, finishing in 48.05, which was a half-second ahead of the silver medalist. In his first Olympic Games, Condorelli added a pair of Olympic finals to his growing resume. In the 100 meter freestyle, Condorelli dashed out to take the lead after the first 50 in 22.22. But his explosive start got the better of him as he posted the slowest split over the final lap. 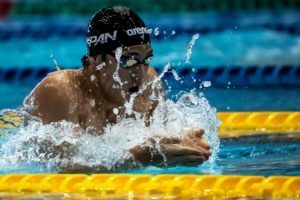 He had done enough to take fourth in 47.88, just 0.03 behind the 2012 Olympic Champion, Nathan Adrian, who took the bronze and 0.08 away from the silver medalist, Pieter Timmers. 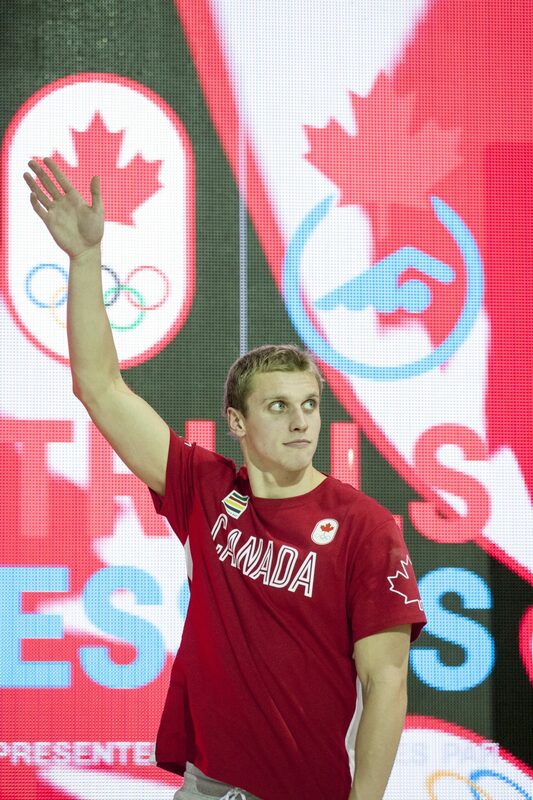 Condorelli also made the final as a member of Canada’s 400 meter freestyle relay which finished 7th. In his other individual swims, Condorelli made the semi-finals finishing 12th in both the 100 meter butterfly and 50 meter freestyle. On June 2nd, 2018, it was reported that Santo had officially begun the process of switching to Italian sporting citizenship. 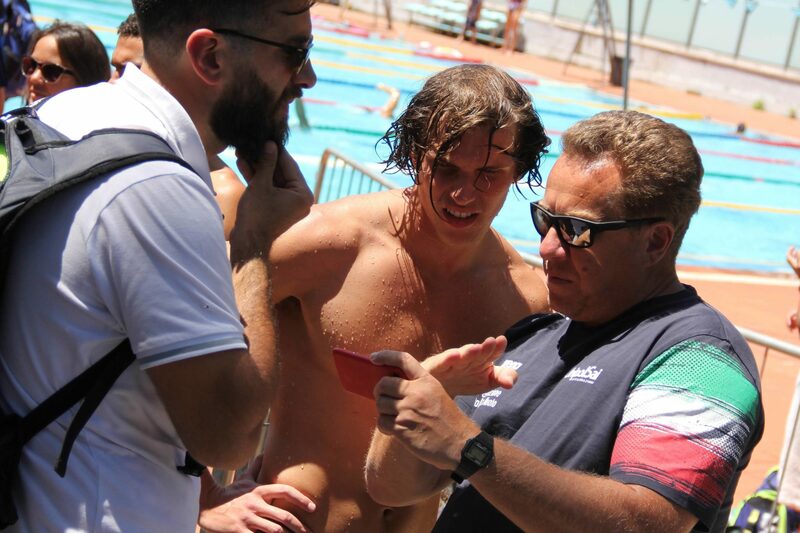 Though he formerly represented Canada internationally and was a member of the USA Swimming National Junior Team, Condorelli has Italian ancestry on his father Joseph’s side, as that side of the family is from Sicily. On November 2nd, 2018, Santo was cleared to compete for Italy. 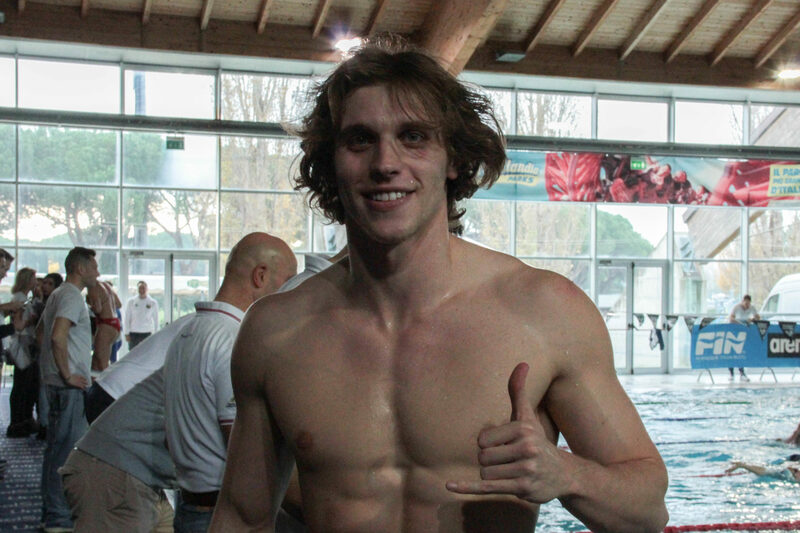 In Hangzhou, at his first major international meet as an Italian, Condorelli helped team Italy to 3 national records in the 4×50 and 4×100 free relays as well as the 4×50 medley relay. En route to the national record in the 4×50 free relay, Italy also earned a bronze by finishing 3rd, marking Santo’s first international medal for Italy.